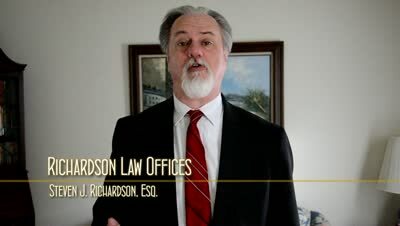 Can I discharge alimony or child support in a NJ bankruptcy? In a word, no. Debts defined in the bankruptcy code as "Domestic Support Obligations" or DSOs, are automatically non-dischargeable in both a chapter 7 and a chapter 13. If you have an arrearage of either or both, you have to pay it. The bankruptcy code defines a DSO as a debt (including interest) that accrues before, on, or after the date a bankruptcy is filed that is in the nature of alimony, maintenance, or support. This debt can be owed to a spouse, former spouse, or child (or parent of said child). DSOs are given quite a bit of priority under the bankruptcy code, often one of the first debts paid by a bankruptcy trustee. This does not mean that bankruptcy cannot help you if you are behind in payments on a DSO. A chapter 13 filing can get you into a plan to repay the arrearage over anywhere from three to five years. This prevents your (ex)spouse from bringing any nastiness to bear to collect, while allowing you the breathing room you need to get caught up. If you live in southern New Jersey and are behind on alimony and/or child support payments, bankruptcy may well be able to help you. Please feel free to call me at 856-432-4113 or contact me through this site to schedule an appointment in my Woodbury office to discuss your case. Looking for more information about how bankruptcy might help your divorce? Download my free book, Top Questions Divorcing Couples Ask About NJ Bankruptcy. If you have more general questions about bankruptcy, then download my free book,Top Questions People Ask About Filing Bankruptcy in New Jersey. Can bankruptcy help my NJ divorce? ?We're Getting Divorced: Do We Need Separate NJ Bankruptcy Attorneys? ?Are awards of attorney's fees for obtaining alimony and child support in NJ dischargeable in bankruptcy? ?Can I wipe out New Jersey motor vehicle surcharges in a bankruptcy?